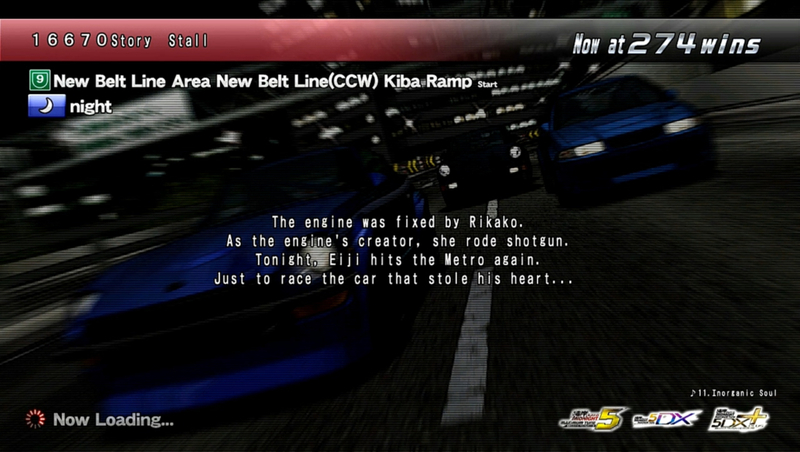 Plot The engine was fixed by Rikako. As the engine's creator, she rode shotgun. 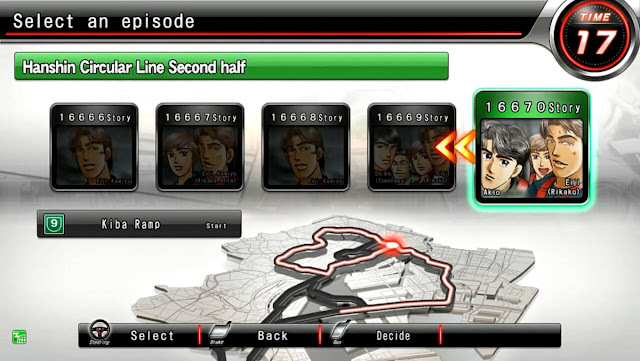 Tonight, Eiji hits the Metro again. My Lancer's a lively one, too! You're gonna run great now, with this. It's a front-heavy, powerful FR. It can really floor it. All four tires stick to the road just great. If it gets ahead, approach from outside. That's an FR's limit, at 600HP. his car under tight control. It's like it's telling us that. *Tatsuya Shima - Blackbird interflows as a regular rival. Today isn't the first time! Flooring it without strategy, huh? Those 3 ain't the only good cars! They know the flow of the road. The rhythm of speeding and slowing. They race on this city's wavelength. You've got room, but will it last? I won't let you get away! but only for 10 seconds. set up for C1 or Route 9. I can push it that far. One more moment, that's all. The Z and Blackbird are Wangan machines. I can't follow that far. The power and torque can go one higher. Don't let up, floor it! It feels shaky and unstable. You're imagining that. It's safe. I've never felt this speed. It's really uneasy, going 10 seconds. I could get lost in this power. I can't keep up with the tension. I get it. 10 seconds on full throttle is harsh. I can't hold up to that. This engine you made is something. *Eiji(Rikako) - Mitsubishi Lancer Evolution V GSR [CP9A] quits. 3 times the speed limit? It's not right. One slip, and bam! I found my first car at 18. I loved the feel of the race. I thought I'd step down. I thought so, till I met that Z. If it's the real deal. "Let's be a real family!"